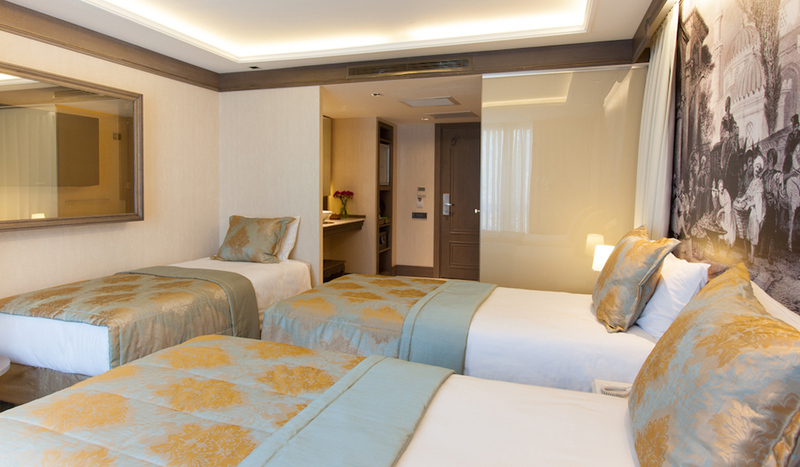 Step inside the room and feel the cozy, luxury and comfortable atmosphere with elegant design. You can see the marvelous painting of Old City above our luxurious king sized bed which combines latest technology and flexibility with special linens and cloud like pillows. 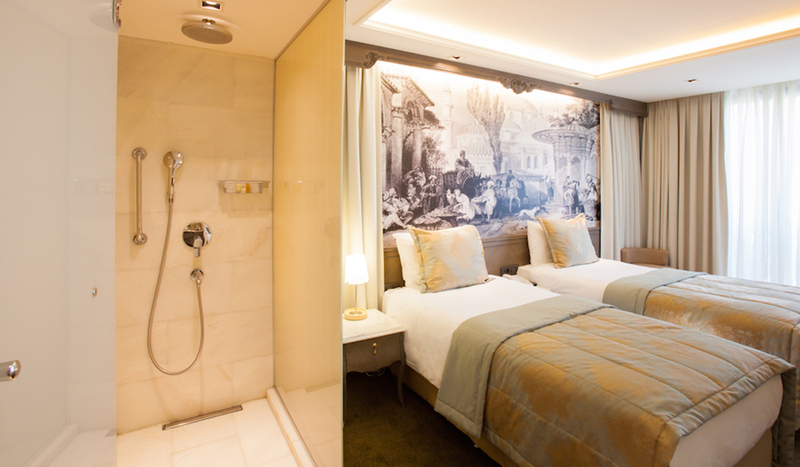 You can feel the history with a modern touch in every detail at our luxury designed rooms. Make yourself a tea or coffee placed a cushioned chair near the window and get the fascinating view of Istanbul. Take a shower in your private bath, turn on well designed 32-inch flat screen TV, choose one from the wide range of channels and take weariness of the day. You can connect to the internet through free WI-FI during your whole holiday. 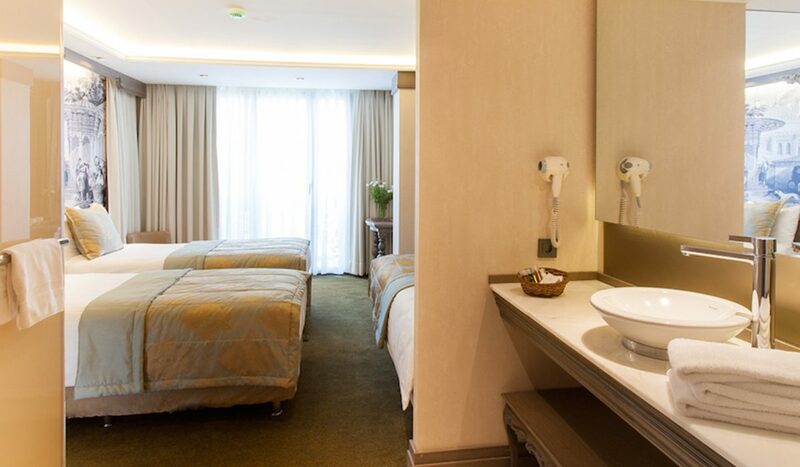 Bathrobes and fresh towels, linens are provided by the hotel staff for your pleasure. Also, you can put your laptop or other stuff into your safe box.